Alongside feeling nervous you are worried about what questions will be asked, feeling under pressure to pass, inundated with good luck messages and faced with every other learner talking about the exam you are about to sit. 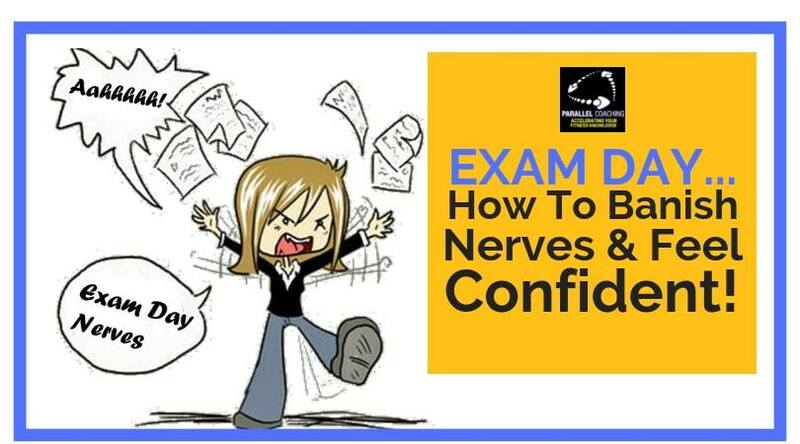 Here are 3 tips to help banish nerves and feel confident on exam day! 1️⃣ Complete your normal morning routine! Having taught thousands of learners and invigilated hundreds of assessment days I hear all too often how learners change their day around in the hope to feel great and healthier. Such as having a different breakfast, an extra workout, some sneaky last minute revision and even taking time off work to relax. 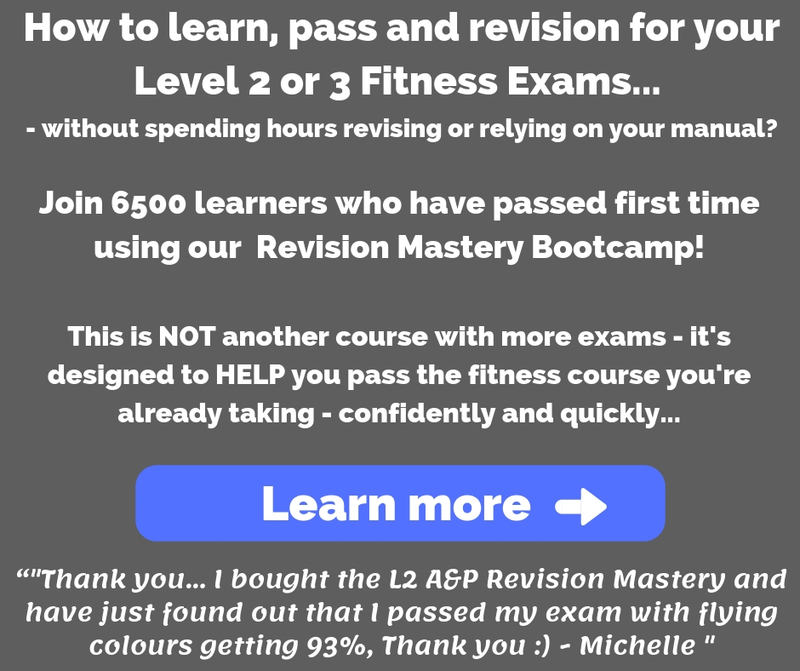 Now whilst this seems like a good option to help feel relaxed, it does the complete opposite for most learners. When a set of tasks and activities become routine, it reduces the chance that we will procrastinate doing them. It becomes ingrained into our system and we almost do it subconsciously. For example, I do 30-minutes of learning every morning when I wake up. I do not have to think about it. I simply do it because it has become a habit. We all know that procrastination is a waste of time and having a routine is one way to combat it. Keeping your normal routine STOPS you from procrastinating – therefore when you’re faced with 40 exam questions you are not procrastinating over possible answers. You can focus your attention towards the right answer and be confident you hold the knowledge! There will always be things in our lives that are beyond our control, and we need to accept that. However, there is so much that we can control, especially if we follow a routine. When we design and stick to a routine, it eliminates a lot of stress because we do not have to think and worry about what needs to get done. The act of ‘doing’ gives us a sense of control and helps us relax instead of fretting about the tasks at hand. 2️⃣ Don’t talk about the exam, what might come up, what you have or haven’t done!!! This type of conversation sets your brain off on a wild goose chase to find everything you know about energy systems and whether you’ve done enough revision. This is the last thing you want your brain to focus on and any efforts of keeping your normal routine to banish these nerves are now wasted! 3️⃣ Believe you can and you will! One of the most important things you need to be successful is to believe in your ability, believe in yourself. It’s easier said than done, I know. The thing you have to remember though is that confidence is one of the most decisive factors that separates those who succeed from those who don’t. Even if you are highly talented, a lack of belief in yourself and your abilities will make it much more difficult for you to succeed. Yes, it is your thinking that really helps or hurts you. Imagine having a difficult task or problem to solve, how much easier do you think it is when you are positive and think that you can do it, (whatever it may be)? And how difficult do you think it will be if you lack confidence?